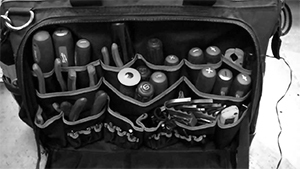 Portable Tool Storage Solutions, bags, packs, totes, buckets, and pouches. We have your Portable Storage Solution! laptops, meters, we've got it all. your best choice for Portable Storage!